This i would say is one of the most asked questions every student would love to get an answer to so in this post findschoolnews would give out some things you can do while in school (university, polytechnic, college) it could be an hand work or an online business, but it would be an answer to the question How Can I Make Money In School?. This made my number one because it is one of best way a student can earn while still in school because if you are a blogger you can create a timetable for yourself and it is also very lucrative when you stay consistent and the good thing about blogging is that you don't need much money to start it, just get laptop, and buy a domain then find what you are passionate about (niche) and write about it. This is also a best way for a student to earn while still in school, some students who are deficient in some courses in higher institutions might need a tutorial center in school where they can get extra knowledge, so if you are very good in your department then you can also share it with others for some token to enter the class, when time goes on you will find yourself employing other to help. Running a cyber cafe business in any school (university, polytechnic, college) is one of the best way any student can earn while still in school because cyber cafe owners services are really needed in any school especially printing services although this business requires a lot of money to buy the equipment but after buying all these am really sure you will make a lot also so just try and invest in it if you have the money. 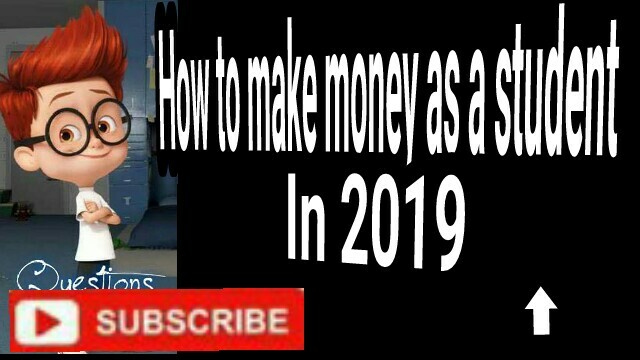 I know many of you didn't expect this to be among the business you can do to make money while still in school (university, polytechnic, college), it is one of the cheapest work to start, you just need a laptop, camera and background. 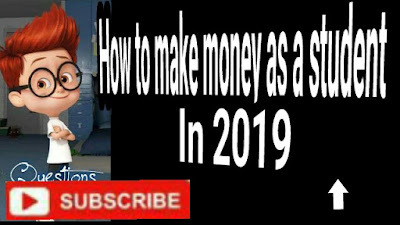 Vlogging is an online business it deals with video making you make a video people watch and you earn, you can video yourself showing how to plaint a style of hair, or how to dance just find anything you can do when you are consistent you will find yourself making lots of money while still in school. This i can leave for the boys to testify if you are a boy in school you would have known how your friends in school love football so if you have some money invest in a business, why not open a sport center where students can come and watch football matches, although this business requires lots of money to start up but within a short period of time you will be known so people would come to your store to watch football matches which will generate more money to you. Although the business can be time consuming but just try and squeeze up some time for yourself (to read). Many students in school (university, polytechnic, college) learnt a skill before entering school but after they enter higher institution they leave all they have learned because they fear that they might fail their exams, but it don't have to be so because you can create a timetable for yourself, i have a friend who is a fashion designer in school and he also does well in his education so it depends on how you plan yourself. At this point i have to drop my pen because i know now you can now earn money while you are still in school, if you have any thing in mind that has not been noted hee please feel free to drop it on the comment box.